Shelf Control is a feature at Bookshelf Fantasies where we confess each week the books we have on our shelves that we haven't read. This week I'm going with a classic. So the second Mrs. Maxim de Winter remembered the chilling events that led her down the turning drive past the beeches, white and naked, to the isolated gray stone manse on the windswept Cornish coast. With a husband she barely knew, the young bride arrived at this immense estate, only to be inexorably drawn into the life of the first Mrs. de Winter, the beautiful Rebecca, dead but never forgotten...her suite of rooms never touched, her clothes ready to be worn, her servant -- the sinister Mrs. Danvers -- still loyal. 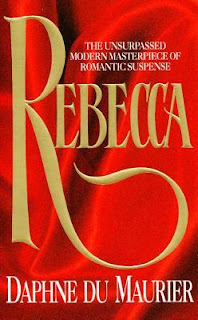 And as an eerie presentiment of the evil tightened around her heart, the second Mrs. de Winter began her search for the real fate of Rebecca...for the secrets of Manderley. I always keep Rebecca in that stack of books I hope to read next. She's RIGHT THERE waiting to be read, but it still hasn't happened. If you ever want to buddy read a book I've mentioned on Shelf Control, please let me know! This post is being shared as part of Bookshelf Fantasies's Shelf Control? The Maze Runner is a YA dystopian novel by James Dashner. 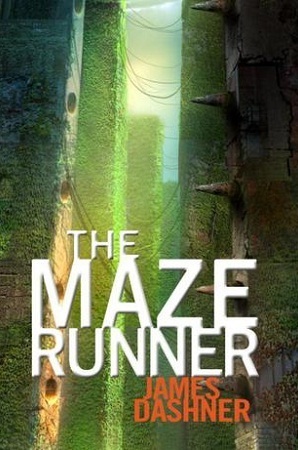 It is also the first book in the Maze Runner series. Take this review with a grain of salt. I tried to read The Maze Runner back in January with no luck. I couldn't get into it at all, and I decided it wasn't for me. This past month, however, my hubs wanted to watch the movie. I have strict rules against watching a movie before I read the book, but since I had no intentions of reading the book, I thought what the hey. It's not often hubs is requesting one of "my" movies so I went with it. Here's the kicker - I really liked the movie. So much so that I wanted to read the book. The book was much easier for me to get into this time around because it was more like a reread. I was also listening to it on audio with a good narrator so it was altogether a nice read for me. I can't say what my original rating would have been if I had forced my way through it, but I do know my interest in this series is high right now. I just need to decide if I'm going to read The Scorch Trials now or stick with watching the movies. Have you read The Maze Runner? What about the movie - have you seen it? I'm really looking forward to The Scorch Trials. I'm leaning more toward doing the movie again, though. In case you missed it, last week I posted my review of Darkness Rising by Brian Moreland. I also talked about the one book I should have read by now. Last week was a light reading week. I felt book funkish all week. I bounced around between a few books, but nothing really stuck. 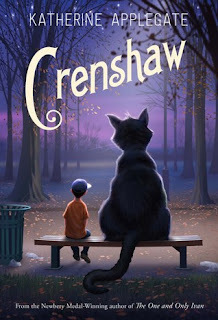 I did read Katherine Applegate's Crenshaw. She's the author who wrote The One and Only Ivan. Crenshaw was pretty heartwrenching. I'm not sure how I feel about it yet. 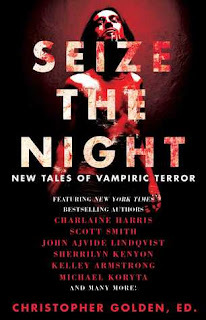 I'm not sure what book is going to pull me out of my funk, but I do plan on starting Seize the Night: New Tales of Vampiric Terror this week. 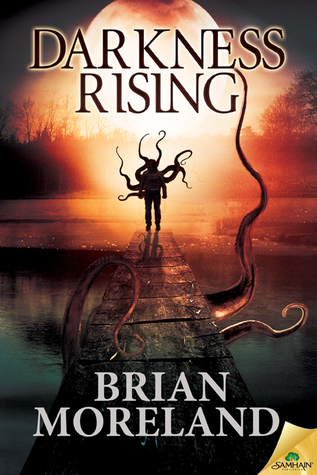 Darkness Rising is a horror novel by Brian Moreland. 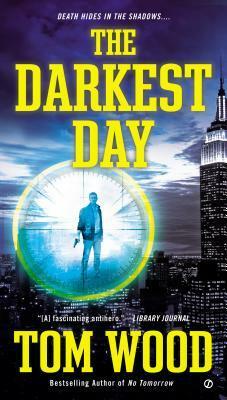 Why did I read Darkness Rising? The reviews. It's hard to pass up a new horror release that is getting great reviews. I love imaginative horror. Now, there is a lot of gory slasher horror in Darkness Rising, too, but there is also some of that coveted original horror I don't find very often. The main character becomes something awesome. Love and light. I love when light is well placed in a horror novel. Light reminds us of how dark the darkness can be, and darkness reminds us of how much we need the light. The characters were very immature. The college setting felt far more like grade school. It wasn't just the young adults, though, it was everyone. The killers, the victims, the bystanders, the coworkers. Unfortunately this spilled over into the horror, too, and it made a lot of the shock gore and drug use come off as annoying. The exposition. The dialog in this book killed me. There is no way the characters (especially in the circumstances they were in) would have spent that much time telling each other information they would already know. There was also a lot of inconsistency regarding the main character and the dark entity Cerulean. Would I recommend Darkness Rising to others? Yes. In the end, the good outweighed the bad in Darkness Rising. There were flaws for me, but some of the good was so good I'd recommend it to horror fans. Bookshelf Fantasies has a new feature called Shelf Control where we share the books we have on our shelves that we've never read. This week I thought I would share the book I'm most shocked I still haven't read. This is the one book of all books that I should have read by now. Nothing tops a good ghost story for me, and this obvious selection sits on my shelf unread. I can't imagine what I'm saving it for. Not only is Ghost Story considered a must read ghost novel, it's a must read horror novel in general. Basically, this is me failing at books. 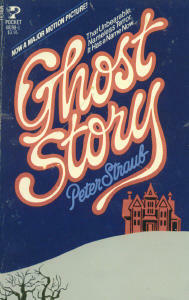 Have you ever read Ghost Story? Is there a book that is a perfect fit for you that you have no excuse for not having read yet? I think I'm on a thriller kick right now. I had the worst book hangover after reading A Nearer Moon last week. 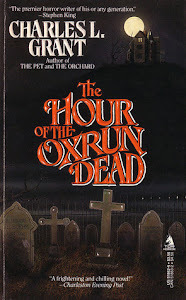 In an attempt to head off the book funk, I went deep into the unread horror books and pulled out Charles L. Grant's The Hour of the Oxrun Dead. It was the best cure, and I really need to start working my way through all of the unread gems I've been hoarding on my shelves (and in boxes). It's easy to keep passing up the old for the hyped up new. I'd love to keep some of my older books in the forefront and finally read them. I have so many books that I needed to buy immediately, and yet somehow they still haven't been read. It's a booklover's problem, and it's not a bad one. I'm sure most of us will never run out of things to read. I could live in my closet for the rest of my days and be a well read woman. Thankfully we can face this plight together. Bookshelf Fantasies has started a new feature this week called Shelf Control. (Great name, Lisa!) Shelf Control is an opportunity to feature those must read books that never got read. Some of my books go through my head each and every year. Will this be the year I finally read XYZ? Those books need to be discussed. 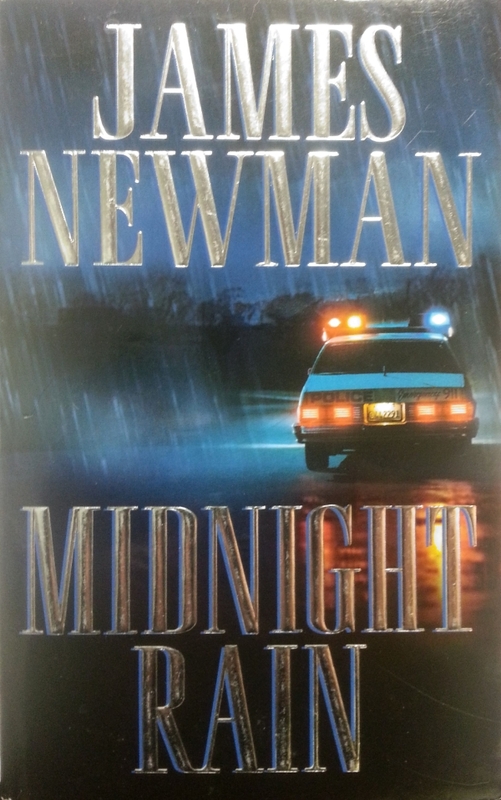 My first selection for Shelf Control is Midnight Rain by James Newman. Like most twelve-year-old boys, Kyle Mackey has a secret place where he goes to be alone. In Kyle's case it's a run-down shack deep in the woods outside his small town of Midnight, North Carolina. But Kyle's private spot will never seem the same to him again. Not after tonight. Not after he looks in through one fo the shack's dusty windows and sees a naked girl lying there... broken and bleeding. I remember needing this book. I ordered a signed copy from Shocklines, and when it came in, I hugged it tight and put it on the shelf without reading it. I skipped over it again last week when I was looking for the cure to my book hangover. I think I'm terrified of reading it. MIDNIGHT RAIN is a dark coming-of-age novel in the vein of Robert McCammon's BOY'S LIFE and Stephen King's THE BODY (STAND BY ME). It is a tale of growing up in the South, a reflection of boyhood and all its wonders, and the story of how one boy deals with a terrible secret that threatens to tear apart both his family and hometown. No book could live up to that. OR COULD IT? I have serious reader issues. I can't handle books that sound that good. At some point I will have to get brave enough to pull it off the shelf. Have you ever read Midnight Rain? What "must read" books are still sitting on your shelf unread? What books are you too afraid to read? 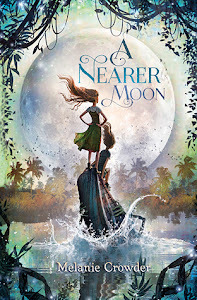 Last week I posted my review of A Nearer Moon by Melanie Crowder. I'm not sure how I managed to squeeze in any reading with all of the tennis on last week, but the stars must have aligned for me. Did you watch any of the US Open? A Nearer Moon is a middle grade fantasy from Melanie Crowder. I loved this book. My plan was to read A Nearer Moon over the weekend, but once I opened it Friday night, I didn’t move until I had read the entire thing. Luna and Willow live in the swamp. For good reason, their mother has strict rules regarding where the girls are allowed to go. Don’t go past the bend in the river. Don’t go below the dam. Steer far away from the slick. The villagers know the swamp is cursed. The villagers know a creature lives beneath the slick. Luna followed all the rules, and Willow still fell sick to the swamp’s waters. Maybe Luna needs to break those rules to save her. A Nearer Moon is a gorgeous middle grade fantasy about the love between sisters. 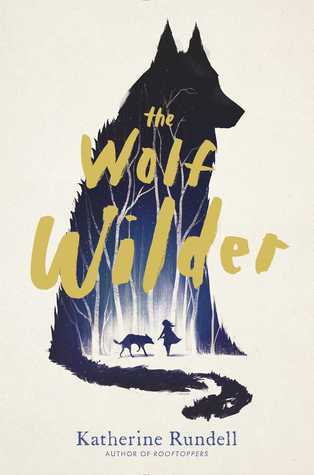 It’s imaginative and heartbreaking, and it’s brilliant. Simply put, A Nearer Moon is one of my favorite fairy tales of all time. Have you read A Nearer Moon? Do you enjoy reading fairy tales? I love darker fairy tales, and I just really loved everything about the curse and the creature in A Nearer Moon. What are some of your favorite fairy tales? Happy Labor Day to those who have a Labor Day holiday today! Try not to spend all of your money at one sale. Unless it's a book sale of course. I'm spending my day watching US Open tennis, reading, and relaxing for the first time in forever. 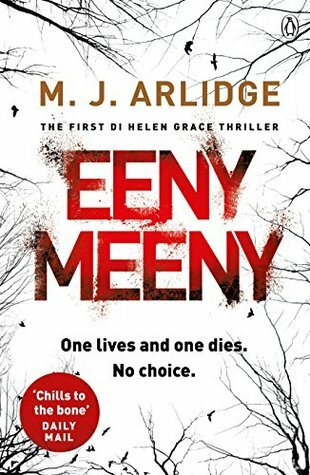 These are the books that I read last week, and surprisingly enough - some review links! Hopefully I will have my review out for A Nearer Moon tomorrow. It was absolutely beautiful. I loved that book. 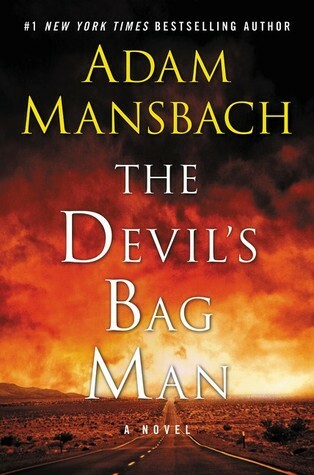 Right now I'm in the middle of reading The Devil's Bag Man by Adam Mansbach and The Hour of the Oxrun Dead by Charles Grant. I goofed on the Mansbach book. I can't imagine for the life of me how I didn't realize it was book #2 of a series. I would probably be enjoying it more if I had realized my error sooner. The Hour of the Oxrun Dead was a random pull from my closet. I really need to do that more often! What about you? What are you reading this week? Let me know in the comments or leave me a link! 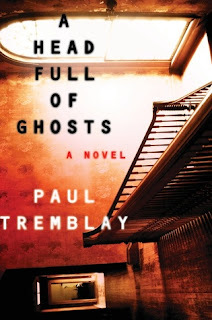 A Head Full of Ghosts is a horror novel from Paul Tremblay. I really enjoyed A Head Full of Ghosts. It's part creepy possession horror / part psychological thriller, and it's all very meta. The story is being recounted many years later by Merry, one of the sisters involved in the possession, in a personal interview as well as through a series of the Merry's pseudonymous blog posts that are reviewing the reality show that documented the possession. Did I lose you? Amazingly enough, the book does a great job of making it work. I found myself forgetting about the blog entirely until it popped back up again. It got even more meta once you realized the blog commentary was basically the book criticizing the tropes in it's own story. But meta stuff aside, there was some horror going on worth reading. Whatever was actually happening with this family, one thing is for sure - it was creepy. By the end of A Head Full of Ghosts, there were so many questions as to what was really going on that I got a little bored. And a little annoyed. But! It was still a fun read and one that I would recommend to others. All Quiet on the Western Front is a classic novel from Erich Maria Remarque. Through years of vivid horror, Paul holds fast to a single vow: to fight against the hatred that meaninglessly pits young men of the same generation but different uniforms against one another... if only he can come out of the war alive. The real reason I read All Quiet on the Western Front was to listen to Frank Muller’s narration, but it turned out to be a beautifully written, thought-provoking novel. 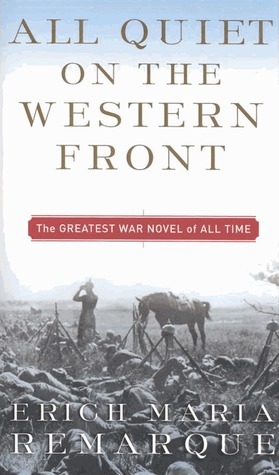 It’s a war novel, but it’s not about the war. It’s about its effects on the men who go to war. I feel quite devastated by All Quiet on the Western Front, really. A great book leaves an impact, and there are definitely scenes in this one that will remain with me always. It’s a remarkable read. If you’re into audiobooks, I highly recommend the audio version. Frank Muller was an exceptional narrator.